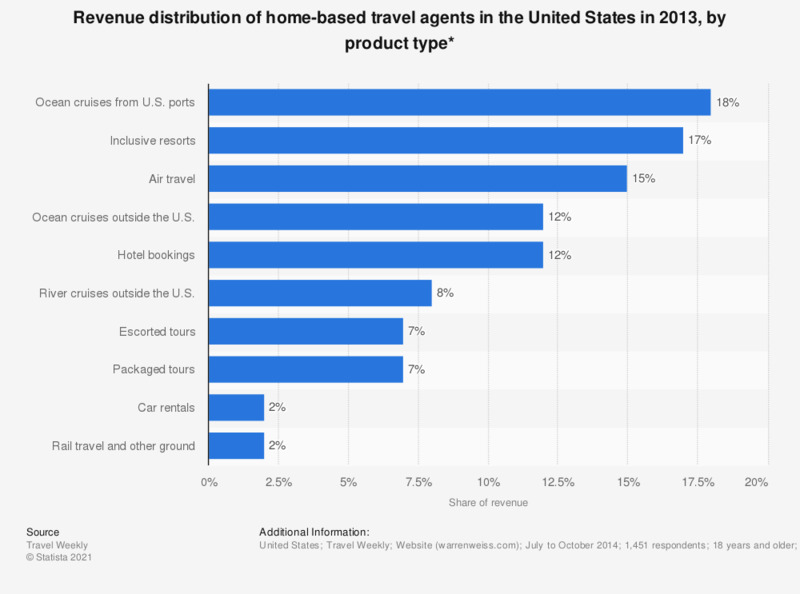 This statistic shows the revenue distribution of home-based travel agents in the United States in 2013, by product type. During the survey, home-based travel agents reported that 15 percent of their revenue came from air travel bookings. * The home-based agencies shown in this statistic are those generating revenue of more than 250,000 U.S. dollars.